Brownhills West station, Sat 15 December 2012. Welcome to the Chasewater Rly! 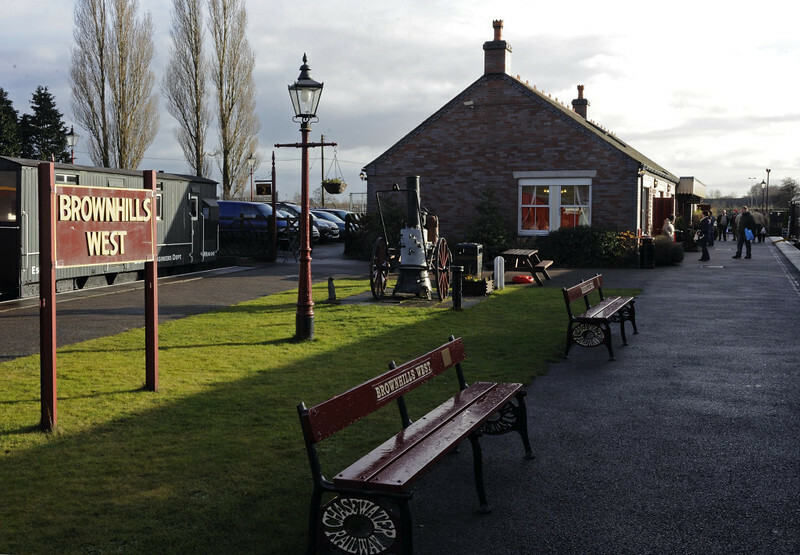 The two mile railway mainly runs over former Cannock Chase colliery lines, but Brownhills West stands on the site of the Midland Rly's Brownhills branch from Aldridge, on its Castle Bromwich - Wolverhampton line.